Gionee today announced its new flagship Smartphone ELIFE E7 of its ELIFE series and Android based operating system AMIGO 2.0. ELIFE E7 is designed specifically to bring the technology of digital cameras to the smartphone with best-in-class lens and a breakthrough image sensor. “ELIFE E7 is the world’s first smartphone equipped with a professional image sensor for digital camera. It is also the world’s first 16 megapixel rear camera and 8 megapixel front camera smartphone phone equipped with the QUALCOMM snapdragon S800 chipset. 12 Levels Auto Beauty now brings makeup effects to ensure the user will always look flawless in every picture. Intelligent identification of board meetings, PPT contents and more. Automatically cut, adjust angels, and sharpen images of content for easy reading. The Elife E7 comes in both 3G and 4G. Elife E7 3G has a quad-core processor and it’s the world’s first smartphone to be equipped with the Qualcomm 8974 chipset. E7 3G comes in 2 versions will support WCDMA and TD-WCDMA. Elife E7 4G will adopt Qualcomm 8974AC version 2.5 GHz quad-core processor and supports 5 major modes and 15 bands. The GIONEE ELIFE E7 is available in black, white, blue, pink, green, yellow, and orange. 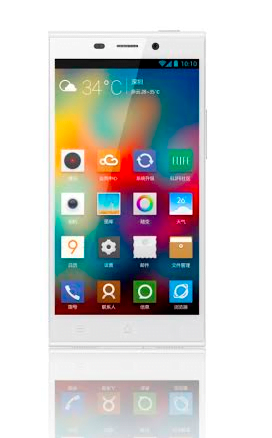 ELIFE E7 will be available in China December 05th 2013 and is expected to be available oversaeas in early 2014. Gionee should also enter in manufacture of dual sim smartphone market and capture market of other company.